We are loving this truck that we’ve built for husband & wife team Haresh & Pauravi that’s recently hit the streets of Sydney. 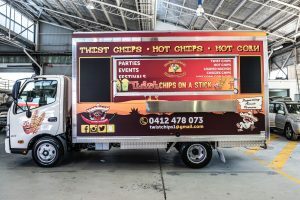 After running a successful stall for many years, these guys decided the only way to truly grow their business and capitalise properly on the busy events they were attending was in the form of a food truck. 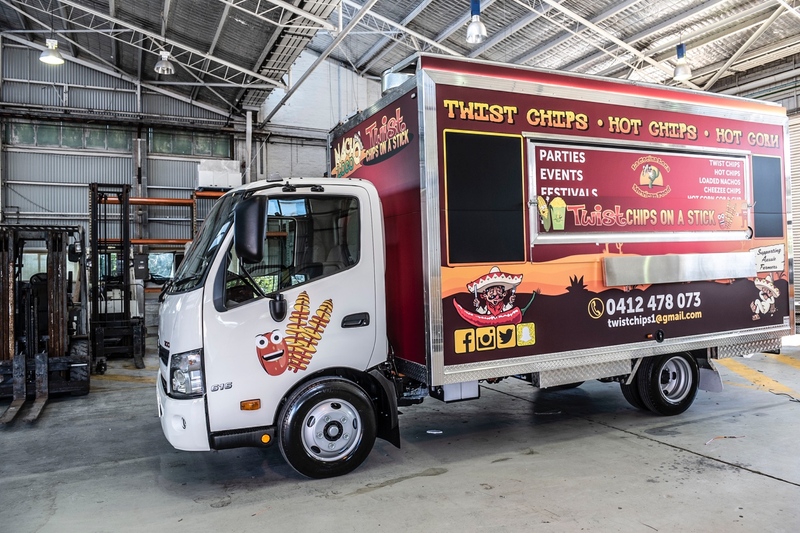 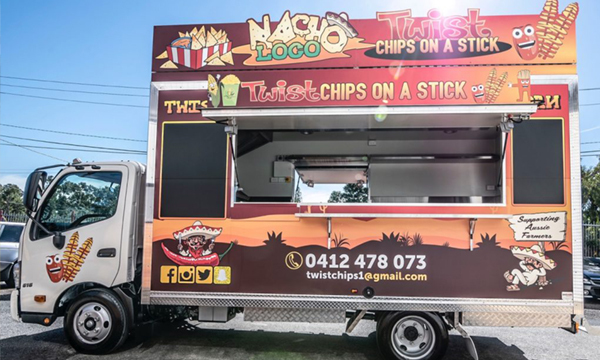 Serving up the perennial crowd favourite, twist chips on a stick, as well as Mexican nachos, this truck is well kitted out to serve at the largest of events. 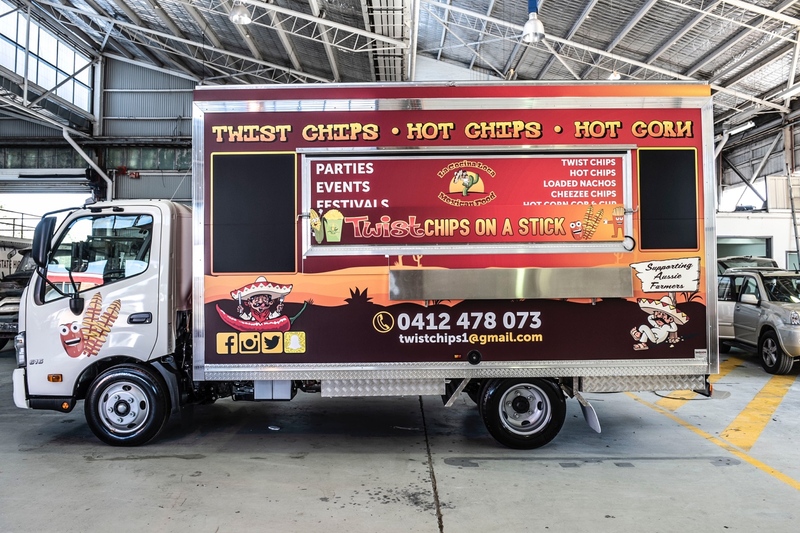 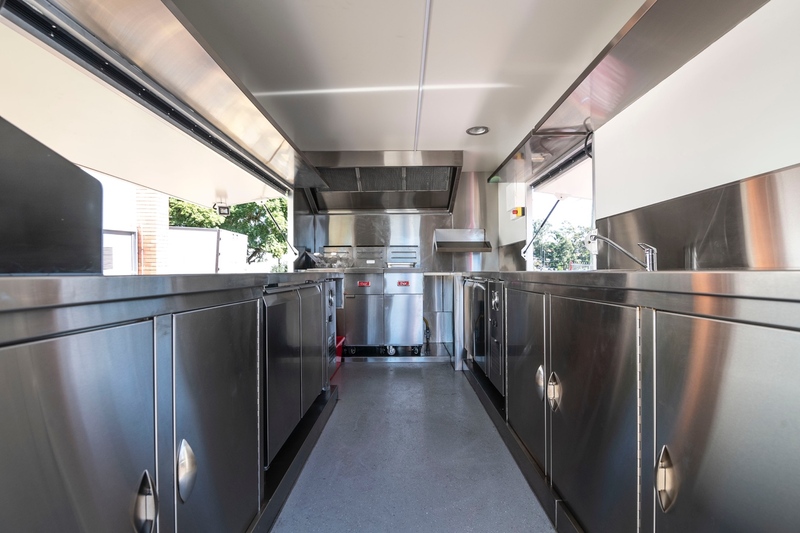 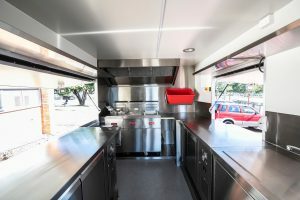 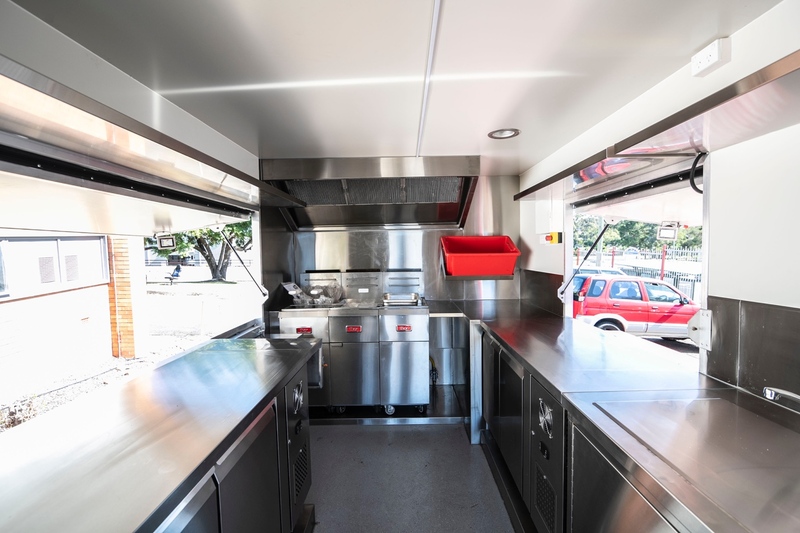 This impressive food truck built by the Van Demons crew was built onto the back of a Hino 616 cab chassis, with a 4.3 x 2.4 x 2.4m truck body encasing a full commercial kitchen, serving windows on both sides, and with a pop up sign, detachable awning, and a super eye catching wrap.